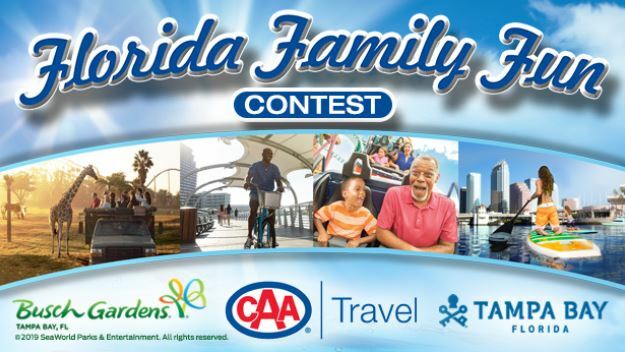 Enter the new CTV News Atlantic Florida Family Fun Contest for your opportunity to win a family trip to Florida. Entry to this contest is open to legal residents of New Brunswick, Nova Scotia and Prince Edward Island who are at least the age of majority in the province or territory in which they reside. To enter you need to visit the official contest web site and select the correct key word, provide your email and click the submit button, then completely fill out the entry form with all the required information and submit it. Contest closes at 5:00 pm AT on February 23, 2019. Winner will be selected by random draw from all eligible entries. The CTV News Atlantic Florida Family Fun Contest starts at 5:00 p.m. Atlantic Time (AT) on February 11, 2019 and closes at 5:00 p.m. AT on February 23, 2019. The draw will take place on February 25, 2019. Winner will be notified by telephone.